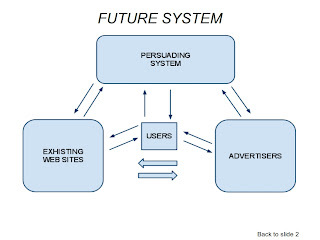 In Part Two, we have established that if we could persuade web users to start using the web in a more efficient and focused way, this would be a mean to start a shift into the web ecosystem due to the fact that users could "persuade" web publishers to change the way they operate according to a specific goal that needs be of MUTUAL BENEFIT to users, publishers and all those other "actors" that are actually bringing money into the ecosystem itself . The Mutual Benefit mentioned above, is the actual link with Economy which I have alluded to in the previous posts of this series. I do not intend to go into a detailed description on how the money are circulating nowadays in the web ecosystem, this is behind the reach of this discussion and, most probably, behind the reach of my knowledge. I would rather give a very simple & quick look at it. 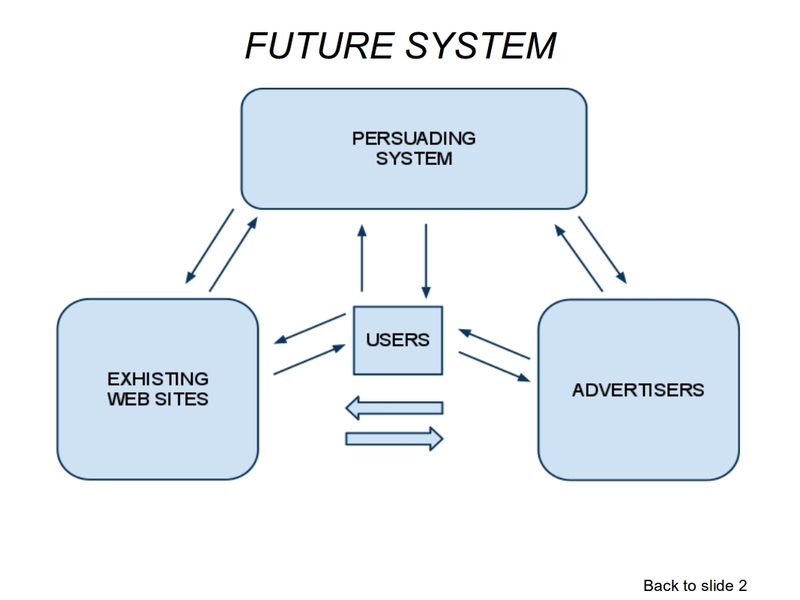 The more users Publishers are able to attract, the more their web sites would be of interest for potential investors ( Advertisers ). Money are thus paid by Ads to Publishers that is now making money. Publisher shows the Ads to its users. Users might buy the product or service being offered or promoted either on line or elsewhere. 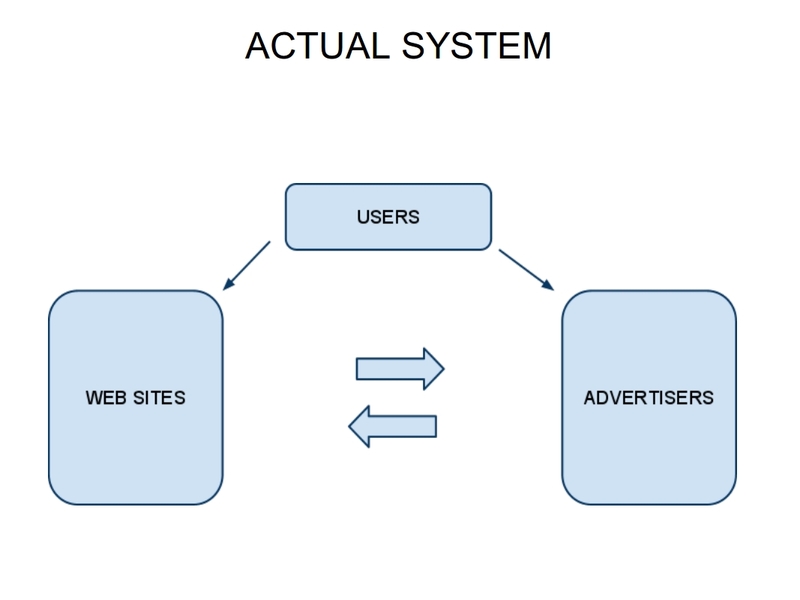 If and when products or services are bought, Ads might make some money out of the web campaign ( this depending on the actual conversion rate ). Considering the stats provided by many on actual conversion rate, CTR , CPC. CPA and similar staff, I am forced to conclude that the whole Advertisement System on the Internet, is not so much of interest. Of course this is JUST a broad statement, I have no intention to elaborate the single categories and their Ads performances. Confuting my statement, there is of course a steady increase in terms of investments being made on Internet Advertisement. 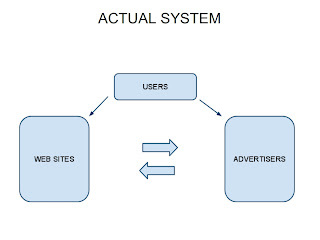 So there is a lot of money circulating in the ecosystem for the Publishers, a smaller portion of money circulating from the users to the Advertisers ( linked to the actual conversion rate ) and there are NO money circulating from the ecosystem to the users. Here we are !! I am not going to elaborate any further on this matter in this post. Just want to draw your attention on the above discussion. Before leaving this to the judgment of the web, I would like to suggest you a couple of flow charts to consider.